“Hi Coach.” As I turn around I look up to see a young man smiling back at me. He was one of the kids I coached in Little League baseball over four years ago. The event was a reception at my son’s high school. My youngest just graduated from high school with plans to attend college back east. The young man standing in front of me was one of many I coached in basketball youth leagues and years of Little League baseball. He was off to college too, also far from home. Wow, time flies. What an honor. As a leader and one who spends maybe too much time thinking about leadership, to be called “coach” by someone is special. In the training and development world we talk often of coaching skills … how to coach. Sure, the process of coaching is important for leaders. Yet, to be a coach, seen as a coach, and yes, even called “Coach” is where leadership truly moves to a new level. As a business leader indeed I coach when necessary, and I work with others who themselves are very good coaches. 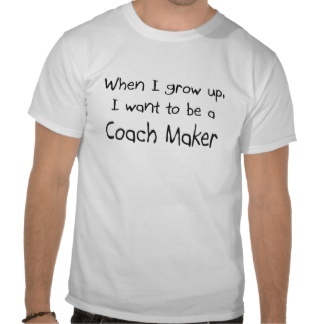 Yet, we return to the being, the thing, the noun … Coach. It is the same now as years ago on the playing field … focus on learning, growth, performance, and supporting each other. We celebrate our victories and learn from our losses. I conduct my business where one day, years later, I may bump into a former employee who says, “Hi Coach.” A daydream for sure, but possible. Sorry to say, but I would say it to very few of the leaders I have worked with over the years. As I reflect today and look forward to my son and my other boys moving off to college, I remember the days of hearing, “Hi Coach”. May they never end. Really love this one brother. By far one of your best. Your such an I inspirational writer.